This is a fascinating interpretation of a film widely regarded as the greatest film adaptation of Shakespeare's Macbeth. This is a fascinating interpretation of a film widely regarded as the greatest film adaptation of Shakespeare's Macbeth. Kurosawa's Throne of Blood (1957) is widely regarded as the greatest film adaptation of Shakespeare's Macbeth. This fascinating interpretation of the film explores how Kurosawa draws key philosophical and psychological arguments from Shakespeare, translates them into strong visual metaphors, and inflects them through the cultural history of Japan. 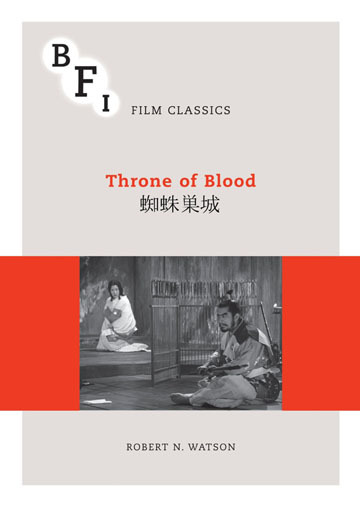 Kurosawa's Throne of Blood (1957) is widely regarded as the greatest film adaptation of Shakespeare's Macbeth. This fascinating interpretation of the film explores how Kurosawa draws key philosophical and psychological arguments from Shakespeare, translates them into strong visual metaphors, and inflects them through the cultural history of Japan.